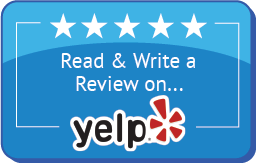 Your Eye Care Center in Ashburn, VA. Call us at 703-810-7784 today. The most important factor in choosing your family's optometry center is the quality of the optometrist -- and we know you'll be impressed by Dr. Seema Monahan. Dr. Monahan, an honors graduate of the Pennsylvania College of Optometry, has been helping patients get the most of their eyesight since 2006. Her extensive training and insistence on using state-of-the-art technology enable her to provide a wide range of services, from comprehensive eye and vision exams to glaucoma and cataract treatment. Even better, Dr. Monahan applies her skills with the perfect degree of compassionate care to help patients of all ages feel right at home. We can monitor your ocular wellness and function through regular comprehensive eye exams so no problem goes undetected. We can also administer contact lens exams if you decide you want this type of vision correction. Get your glasses, sunglasses, and contact lenses right here at our office. We can fit you with the perfect lenses for your needs while also offering a dazzling range of designer frames. We can even advise you on whether you're a good candidate for LASIK. Whether you're suffering from a case of "pinkeye" or contending with age-related vision problems such as cataracts or macular degeneration, we can help. Start by Scheduling Your Family's Eye Exams! While eye exams are only the beginning of what we provide at OptimEYES, they're also the perfect way to experience our expertise first-hand. Call our Ashburn office at (703) 687-4719 or fuse our online appointment scheduler to arrange exams for your whole family. We'll be happy to see you -- and you'll be happy with what you see! Sign-up using the form or call us at (703) 687-4719 to take advantage of this exclusive offer. "I am a very hard person to convince ... this was the right thing to do fix my eye's. But ... The whole experience from the staff to all Doctors it was painless and quick . I have 20/20 vision in one week . I cann't thank this excellent team on a super job." "If I could give them 6 stars, I would. From the moment we walked in, the entire staff was very friendly, caring, attentive, and professional, not like your typical doctor's office where you feel like just another number. Astrid, Salma, and Natalia were very thorough and meticulous in taking care of my partner, as was the optometrist. My partner now has 20/20 perfect vision and couldn't be happier. Highly recommended."